For almost 30 years Candida Höfer has photographed interiors, mostly representational spaces accessible to the public– staircases, lobbies, reading halls or exhibition spaces. Rather than staging them, she captures them in as she finds them, with both discretion and humor. 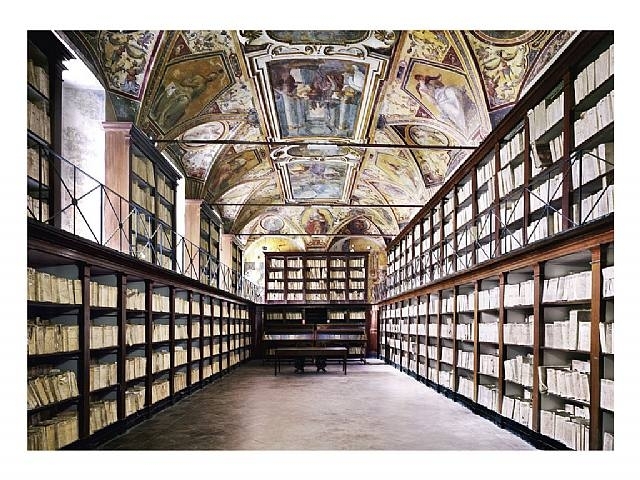 Now, she’s trained her lens on libraries across Europe and the US: the State Archive in Naples (above, via), the Escorial in Spain, the Whitney Museum in New York, Villa Medici in Rome, the Hamburg University library, the Bibliothèque Nationale de France in Paris, the Museo Archeologico in Madrid, the Pierpont Morgan Library in New York, and many, many others. 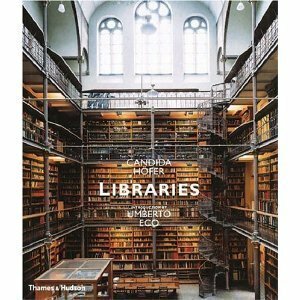 Luxuriate in these temples of knowledge– and enjoy Umberto Eco’s exquisite introductory essay– in Libraries. 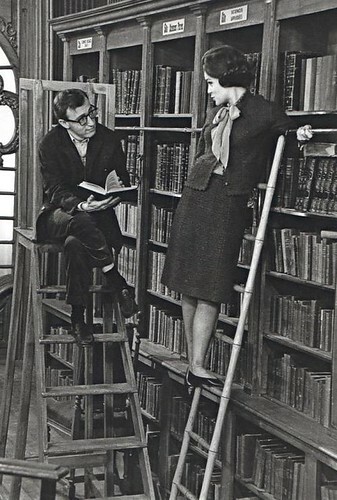 “What’s New, Pussycat?” (1965): Woody Allen, Romy Schneider, two ladders, and an open book. 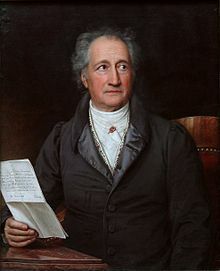 As we remain quiet, please, we might spare a thought for playwright, poet, artist, biologist, theoretical physicist, and philosopher Johann Wolfgang von Goethe; he died on this date in 1832. Probably best remembered these days for Faust, he was “the master spirit of the German people,” and, after Napoleon, the leading figure of his age.